Tires—and the right type for the occasional to avid Adventure Rider—is a source of continued debate. 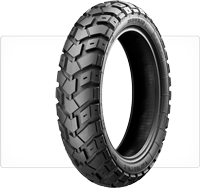 What’s agreed upon is that the tire should offer exceptional grip, performance, and longevity, both on and off road. And therein lies the issue. Most off-road tires offer limited performance on the asphalt, and vice versa. Where a high-performance tire offers exceptional grip, they sacrifice longevity. Long lasting tires tend sacrifice grip. Rims are another matter. Street-oriented Rims are made from a single-piece aluminum alloy, and offer a light and easily maintained build. Off-road rims are usually multi-piece spoked, offering enhanced flexibility and impact resistance. Both will work for off-road use; and each has their advantages and disadvantages. Where a spoked rim is more flexible and durable, they usually require fitting of a ‘tube’ beneath the tire, making for laborious repair in the event of a flat. Alloy rims are usually ‘tubeless,’ making for quick flat repair. But, they are not as flexible and therefore more susceptible to damage. Savatech, as they are known in Europe, is a Slovenian company that manufactures a full line of tires from heavy truck tires to scooter tires. Sava is a subsidiary of the American company Goodyear tire and they have a state of the art facility in Kranj, Slovenia. Sava’s are distributed and sold by RawHyde. 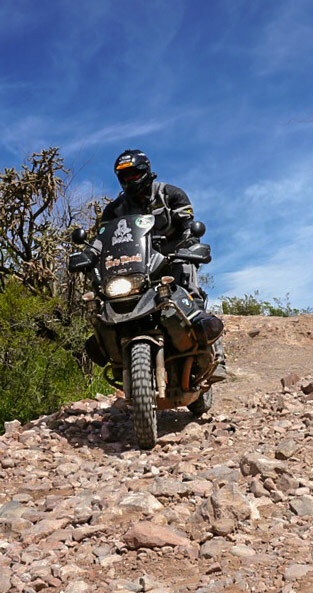 The Heidenau Scout is currently the only true 50/50 tire on the market. It delivers reliable performance and high mileage on both dirt and asphalt. No matter which dual-sport you chose, Heidenau has a Scout for it. Founded in 1946 to produce molded rubber products, over time they converted to tire production. 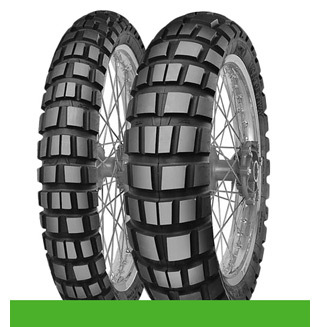 In 1993 Reifenwerk Heidenau GmbH was founded with a focus on producing motorcycle, scooter, kart and special-purpose tires. Whether you're blasting through the canyons, snowy roads, or carving up the desert, our tires strive to fulfill the highest claims of quality, and truly live up to the phrase "Made in Germany." Performance and quality doesn’t stop at the tire alone. 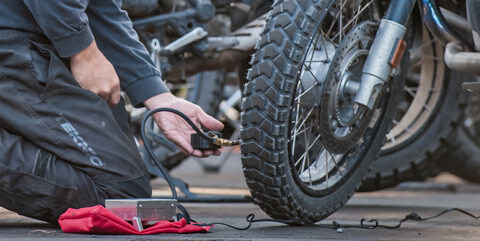 A good wheel can improve response, durability, and lower your overall weight of the bike. Woody’s Wheel Works is your go-to company for wheel that’s built to last.